Becoming Women of Peace: Sr. Pascaline Coff, O.S.B. 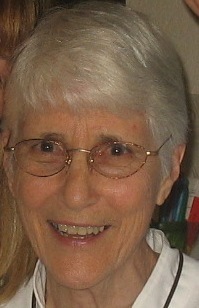 Today's Woman of Peace is Sr. Pascaline Coff, O.S.B., a treasured friend, whom I met over thirty years ago when she came to Tulsa, OK to establish a new monastery called "Osage Forest of Peace" inspired by her experience in India. Ever since I've known her she's radiated extraordinary peace.This is her 60 year jubilee of religious vows. "Peace, I learned years ago, is the “tranquility of order” according to St. Augustine. But tranquility and order are not easy to come by today if they ever were. We often find ourselves in the midst of disorder and anything but tranquility. Peace is not a virtue you and I can practice. Rather it is a fruit of the virtue of love which we are commanded to practice. Charity according to its very nature causes peace. Peace is an act of charity therefore it’s fruit is one of Christ’s beatitudes. And the beatitudes are described by St. Thomas as “perfect acts of virtue”. When the Lord summed up the greatest of all the commandments He gave us only one: "to love God with our whole heart and mind and soul, and our neighbor as ourselves.” Mt 23:37 Charity causes peace precisely because it is love of God and neighbor. There is no other virtue except charity whose proper act is peace. When our heart is not at peace we need to discern the cause. More often than not, we do not have what we want. Our God given sensitive and rational appetites are not one, and the union of such movements is essential to peace, my peace, your peace – world peace. As we read even just the headlines in our daily papers, or hear a bit of the news at night we realize that our world is not at peace. But from all we have considered thus far, it is obvious, if we want peace it must begin deep within you and me. Therefore there is great need for silence and stillness and welcoming places to come apart and meditate regularly. Many years ago the Lord directed me to just one such place in a Forest in S. India. It was in fact called “The Forest of Peace” where the beatitude of charity was tangibly PEACE. It was a Christian monastic ashram and the monks provided a welcoming presence for all who arrived – where peace was truly “flowing like a river”. People pilgrimaged from all parts of the universe to meditate, to listen to holy reading and conferences and to try to reform within themselves their efforts to enable the divine to manifest through them in perfect love before returning to their respective homes in true peace. May we all find and honor such places so that the fire of Love may be evermore enkindled in our world and the TRANQUILITY OF ORDER, P E A C E may abound in all hearts everywhere.